nVidia has announced the launch of their brand new GPU based on their 40nm-based Fermi architecture, the GeForce GTX 580 into stores. According to nVidia the card now has the worlds best and fastest support for DirectX 11 based games, though the performace will only be gauged with tests. The beneficial factor of the card is that not only does it performs faster, but is also far cooler and uses less power than expected. The cooler and quieter performance is all the result of the new vapor chamber thermal design that NVidia has come up with. The card is once again a long one with a length of 10.5 inches and a dual-slot fansink design. 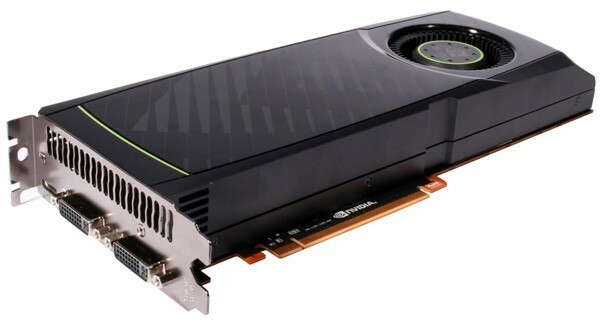 The GeForce GTX 580 is priced at $499 by nVidia. Many companies are selling the card right now, including Palit, POV, KFA2, Gainward, Gigabyte, EVGA and Zotec. Hard launch with immediate availability at an estimated SEP of $499 USD.